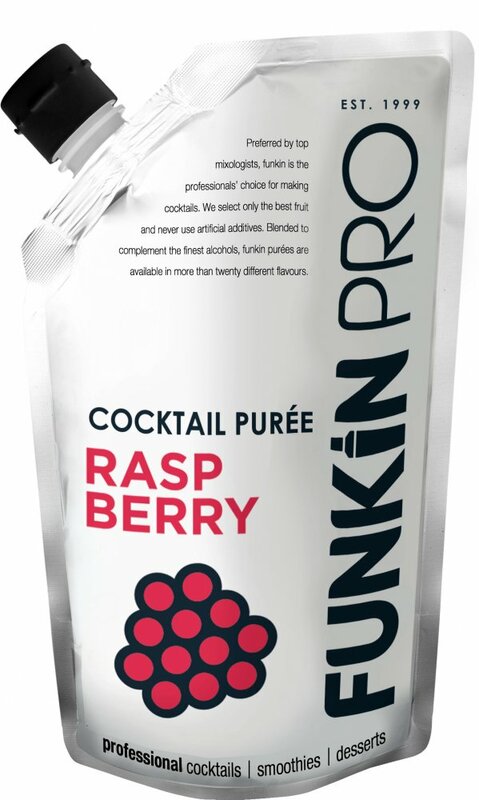 Funkin Raspberry is one of their signature flavours. They go to both hemispheres to ensure a consistent rounded raspberry puree is delivered throughout the year, and over the years have developed their own unique (and secret) blend of three different varieties to ensure their raspberry wins gold medal around the world. Details: raspberry from Chile and Serbia, Varieties Heritage, Meeker, Williamette. Funkin's Raspberry premium puree, used by the UK's top A-list style bars and chefs, and consisting of the finest globally sourced fruits.